Now, we are not exactly sure why Avex is dragging this on for no apparent reason other than prolonging the Initial D legacy. Perhaps, they don't want to say good bye to Initial D like many of us. But still, a year to wait for a 40 minutes new footage is rather a drag. I am sure true Initial D fans won't mind the wait though. - No, they don't want to say goodbye to our wallets just yet. - True Initial D fans wouldn't be irrational like Takumi in Second Stage and walk willingly into a shill game. The wait has nothing to do with it. Initial D is dead. The series ended already and this is the longest sendoff for a series this side of Eva, except this one is entirely pointless. 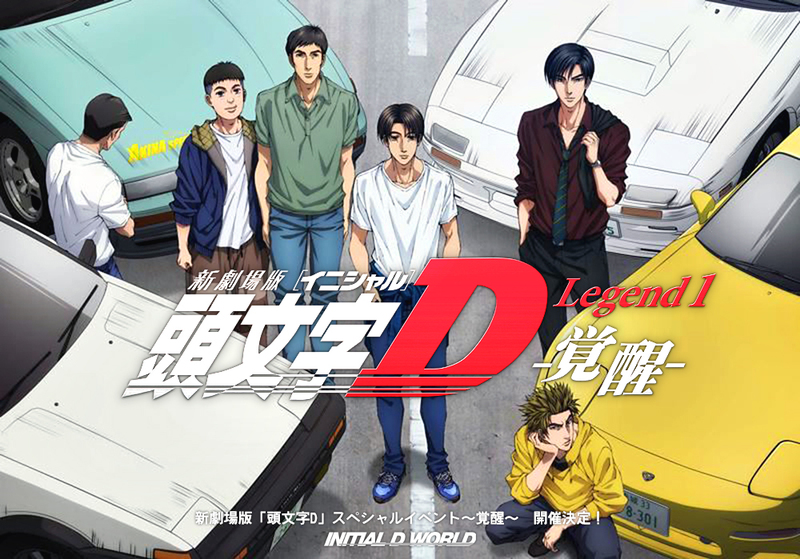 Just to point something out, but wasn't Initial D selected as an animated project to celebrate some anniversary of the magazine it was published in??? I do think it would have been better had they done a Battle Stage 3 rather than this considering the length of each movie and what they cover.